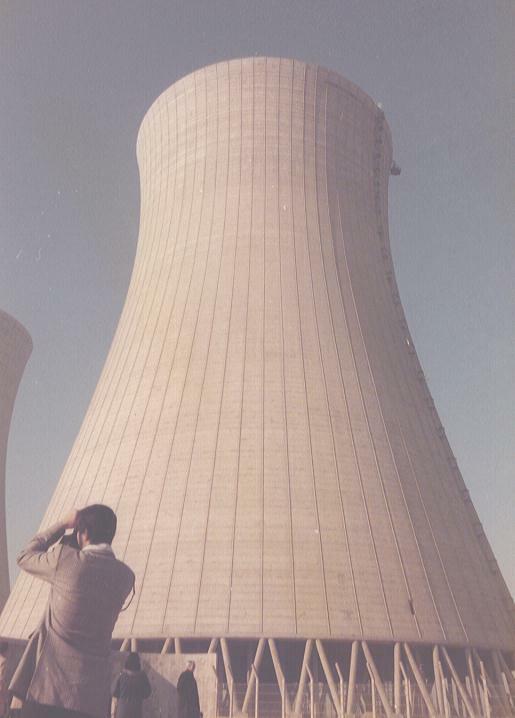 The cooling towers at Dampierre, France, during their construction (Photos by L. Godoy, 1976). They are 160m tall, 78m diameter at the neck. This is another generation with respect to the towers at Ferrybridge. Cooling tower at Chooz in Germany.